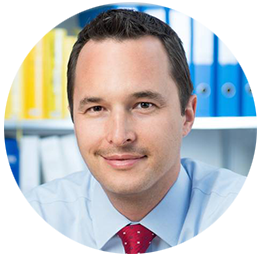 Thomas Linder has broad experience in advising Swiss and foreign companies in international tax matters. He is particularly specialized in leading inter-disciplinary projects in the context of acquisitions, corporate restructurings and migrations and has in-depth knowledge of cross-border transactions and tax accounting. At present, he mainly provides assistance to companies in the technology sector, with a focus on blockchain technology and international projects. Thomas has a strong personal national and international network of consultants, enterprises and administrations which, in combination with his comprehensive technical skills, allows him to develop creative, tailor-made and efficient tax-structuring solutions. He is regularly publishing and lecturing on current tax topics and is the co-author of several textbooks. He is a member of the Tax Chapter of the Swiss-American Chamber of Commerce. In addition, Thomas is part of the working groups with regard to the current Swiss Corporate Tax Reform III and, in this context, actively postulates the introduction of R&D incentives in Switzerland.